Parents and caretakers should discuss bus stop conduct and kids safety rules with school-going children. Stressing the importance of these kids safety tips will help reduce the death rates that result from carelessness around and on the bus. Since we care about the well-being of the kids of our nation, we’ve created some simple kids safety tips focused on the bus stop environment. First and foremost, when waiting at the bus stop, kids should stay a safe distance of about ten steps away from the bus. It’s always important that kids understand the need to remain where the bus driver can see them before crossing the road or boarding the bus. They should cross the street in front of the bus and never behind it. Kids should always walk toward the bus stop and should never run to the bus. Additionally, when heading to the stop, kids should walk on the sidewalk. In case sidewalks are not available, they should stick to the left side of the street, facing traffic. While waiting at the bus stop, students should not engage in horseplay or any activity that will put them in the dangerous zones of the road. Additionally, before they are old enough to be left alone at a bus stop, the kids will need to be educated about the dangers of talking to or getting in cars with strangers. Kids should know the basic on-bus safety tips. A few examples are to stay seated/face the front of the bus throughout the entire drive, avoid distracting the driver at all times, and respect other kids’ property. There should also be no playing or tampering with the bus’ emergency exits. When exiting the bus, there should be no running and the students should stay away from the wheels of bus while watching out for other moving cars. Kids should always leave the bus at the preselected stop, and if there is a need for the bus to travel a different route, parents and caretakers should be notified immediately. Finally, if something is forgotten on the bus, the students should let bus drivers know before they attempt to reenter the bus. Bus stop education is an important aspect of kids safety. As safety and security experts, we know that the little things can sometimes become more complicated than they should be. 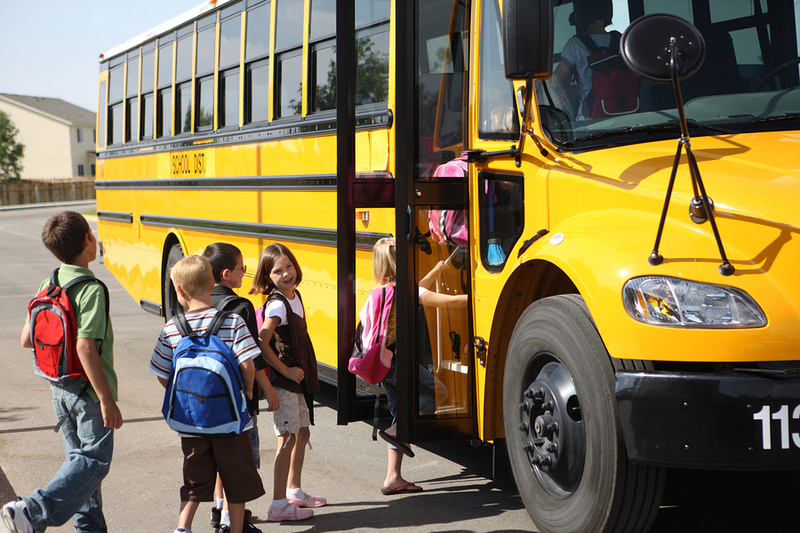 OSSI is dedicated to kids safety, so in an effort to keep your kids extra safe, make sure they’re well-educated about these kids safety guidelines for the bus stop. For more information about our top-notch security systems, call us at (888) 488-2623.